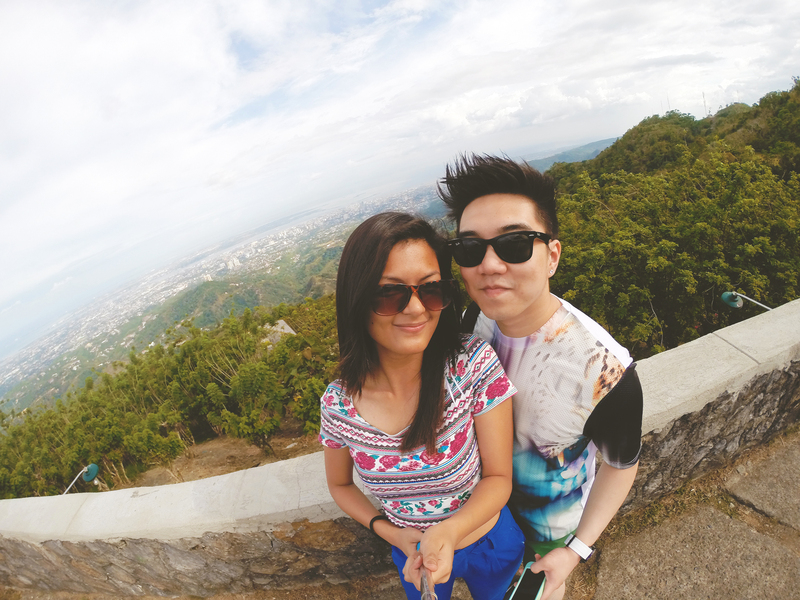 The Tops (or Tops Lookout or Tops Busay) is one of the most famous tourist spots in Cebu. It has existed since I’ve gained consciousness of my humanness and I’ve actually never been, until April this year when both Paul and I went. Going to the Tops is no easy feat. Since it’s rather high up in the mountain, the easiest is obviously through your own car (whether you rent one or own one). But for us peasants, it’s either a taxi or a motorcycle. The taxi is really expensive and not very peasant-like. It’ll cause you around a thousand, which is already for a round trip plus the driver’s waiting time. There are no public vehicles at the Tops so you must secure one for your return trip to the city. Another would be the motorcycle, which is what we did and it was exhilarating! If you’re not used to riding motorcycles, I would suggest against it since you need to have a sense of balance while riding one even just as a passenger. You will be going through miles of steep roads, so steep that you’ll feel like you’re about to fall off the motorcycle, hence, the need to have some sense of balance. You don’t want to go rolling down the mountain, do ya? The motorcycle ride costs a P150 per person and that already includes the driver’s waiting time. It will also take you about 20-30 minutes of grabbing on to the motorcycle for dear life. Kidding. It’s not scary… but it is. I remember it being free before (not that I’ve been) or maybe I have bad memory but it now has an entrance fee of P100.00. I won’t say it’s the best place to be in Cebu but it’s probably good for a one-time experience. It’s not worth to go back again and again since there’s literally just the view of Cebu. I wish they’ll develop the place more given that they’ve been charging a lot of tourists. It really is so simple that all we did was take pictures. Don’t get me wrong, the view is beautiful and breathtaking, and again, worth the one-time experience. When we went, it was raining on and off but it was still exceptional despite the clouds. And that’s it. We stayed for about 30 minutes and went back to the city again. Quite narcissistic this post is, but I swear, there’s nothing else to do but to appreciate this island that is Cebu. I’m a man and I love my man-purse. Jokes. C H E E K Y.